I pose this question mostly because things appear to be moving in a positive direction. Obviously my prayers are still very much with Ryan Shazier and I believe he'll make a full recovery because as a human being I have to believe that. Having said that, this thread is about the other 'necessary' part of the conversation. So, obviously if Shazier does in fact make a full recovery he is still a starter, but the question for me becomes did last nights game make it clear that we need to draft an ILB? When Ryan Shazier went down we found out just how little talent we have at that position. Vince Williams, Anthony Chickillo, Arthur Moats, and Tyler Matakevich all combine for a respectable special teams and 'breather' unit, nothing more imo. We were completely lost at the position without Shazier on the field. Beyond the need to continue to improve the secondary I would say that ILB is by far our biggest need defensively. Is it a big enough need for a 1st round pick? To me, it is. What are your guys' thoughts? Do we need to make ILB a priority moving forward? If Shazier healthy he’ll get long term deal...Willians signed cheaply but could be upgraded...still need depth. Think it going to be “if the value is there” type of deals come draft time. Long term FS starter still #1 need on defense...OLB depth also but that’s way down list. From what I hear (I missed some of the game) Matakevich was solid until he hurt his shoulder as well. But yes, we need to spend a 3-5 on an ILB and OLB for depth reasons in this draft. Solid is relative to your definition of it. He isn't a coverage guy AT ALL, in fact he's an extreme liability there. His lack of speed was also fairly evident on outside runs. I agree that Mike Mitchell needs to be replaced. Solid as in for a backup he has some holes you expect, you wouldn't lean on him to be a long term starter, but he can give you time here and there and won't kill you. I've said before I would kill for having Matakevich's brain in Timmons prime body. Mata is a smart defender and makes up for his lack of movement ability with smarts. Mata is far less athletic the Sean Lee but the way he studies the game and puts himself in a good position. But he just comes up short because he's not athletic enough. But short term he can do some good. I agree I think that's a good description of Mata. He is a smart defender and despite his short comings, the effort was there and very clear to see. IIRC they can save $5-6 mill by cutting Mitchell...plus they shoved another $1.25 mill or so into Wilcox’s cap number next year when they restructured him this year. 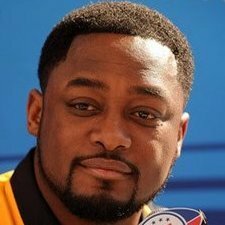 Steelers already $4 mill over cap next year...cuts will be made. Thry can pair Wilcox with a 1st or 2nd rd pick and be fine. Our depth at LB, ILB and OLB is pretty bad. Moats and Chickolo are worthless other than special teams. Matkavich is too slow, another special teamer. I do not know what the deal is with Harrison (injuries) but he is the only productive depth we have. I hope LJ Fort gets it figured out. He is a much better replacement for Shazier. He is plenty athletic but seems to lack the football IQ to get in the right place to make plays. He may never figure it out, and that's fine. He's a good special teams player. If Matekavich is out , maybe Fort will get some more practice reps and improve. From the beginning of the season I have said that ILB and safety are the best bets for the top picks fro the Steelers in 2018. Once Shazier is out they have no speed. It is why I said the Steelers will miss Timmons. Nothing has changed for me since the offseason. #1. ILB next to Shazier. Preferably someone with speed like the current speedster at LB for the Buckeyes, #17. #2. S to replace Mitchell. One who can cover and not just go for the knockout blow over and over. #3. CB depth. When we had Haden it was ok, but Gay is too slow (like our other ILBs) and Allen isn't ready to play yet. Leaving ONLY Burns and Hilton who is more of a blitzer and slot only guy. #4. OLB. Dupree just doesn't do it for me. He has a nice burst, but that's all. #5. More WRs. Brown and JuJu are the only receivers I like on the entire roster. Brown is 30 next year. He's small and relies on quickness in routes. How long before he fades or injuries start mounting? #6. Maybe should be #5, but TE. A more dynamic receiving TE would be nice. #7. QB if Ben is not reliable. 1. Sam Hubbard, OLB, Ohio State - I think he is TJ Watt 2.0. These 2 guys are the guys I followed the most last year (along with Christian McCaffrey). Hubbard at Ohio State looks exactly like TJ Watt to me. He does lack a little speed in open space, but maybe you could slim him down a bit (he's listed at 6'4 5/8" 265 now and TJ was 6'4 1/4" 252) and then he'd have a better closing burst. He's way better than Dupree, who will be in the last year of his contract next year. I've also said all along that I thought TJ Watt could be a stud ILB in the Chad Brown mold. They already utilize him in coverage a lot and he lines up at ILB too. I saw Hubbard line up at ILB the last time I saw him play as well. Since they obviously want to utilize their OLBs in coverage and all around players, I think this is a dream pick here. 2. Isaiah Oliver, CB, Colorado - 6'1" 190 or Joshua Jackson, CB, Iowa - 6'1" 192 - CBS has Jackson at #18 and Oliver at #30. Walter has Jackson as a 2-3 and Oliver isn't even in the rankings. I like both of these guys and think they could turn into studs. 4. Josey Jewel, ILB, Iowa - I love this guy. His 4.7 speed is not quite what I'd like at the position, but he is a rich man's version of Matakevich basically. A tackling machine, tough as nails, smart, but can also cover and is more athletic than Matakevich. 5. Tyquan Lewis, OLB, Ohio State - He's always flashed to me, so if you can get him this late as a situational pass rusher and depth, you do it. 6. Hunter Renfrow, WR, Clemson - A scrappy slot receiver that seems to show up every time I watch Clemson. Only 5'10" 180 with 4.5 speed. Guys like this always get under-drafted. 7. Drue Tranquill, LB/S, Notre Dame - He plays a hybrid position right now. Maybe he's a nickel linebacker. 4.65 speed makes him too slow for safety, but maybe that would work as a coverage linebacker/special teamer. Equanimeous St. Brown, WR, Notre Dame - He's really long and really lanky, and can run, but with no QB to throw to him, he can't produce to his ability. This is a Martavis Bryant replacement for sure. Parris Campbell, WR, Ohio State - Same situation as with St. Brown. Crap QB play and offensive scheme = no production. 6'1" 208 with more dynamic athleticism. Simmie Cobbs Jr., WR, Indiana - This is a 6'4" 220 pounder that dominated Ohio State when I watched them play. He's big and physical with great hands. Terry Godwin, WR, Georgia - Small but looks really good to me. Saquon Barkley, Nick Chubb, Sony Michel - Not sure what to think about RB. Bell may be gone, but Conner is solid. Depth would be needed but I wouldn't burn a 1-3 on a backup RB. Jerry Rice played at an elite level until he was 34, another elite season at 36 and 2 more at 39 & 40. I'm willing to bet AB's got at least 5 more good years left. Conner looks solid, he still has room for improvement but I liked what I saw last night. Saquon Barkley is a pipe dream. I know he can, but that was also a different system. I think Brown should be able to keep playing at a high level for a few more years at least, but you have to plan for a worst case scenario to an extent as well. Just like this offseason when I put 2 or 3 WRs in my mocks for the Steelers because I had zero faith in any WR except Brown (I had something like Kupp or Godwin in 2-3, Chad Hansen in 4-5, and Ryan Switzer in 6-7, so not all premium picks, but I definitely wanted to get a few WRs including at least one in the 1st 3 rounds). I was planning ahead for the instance where Bryant isn't playing well or isn't even available at all.....that came to fruition with him not playing well and pouting and asking for trades. So that rookie and Brown are the only quality receivers they have. One injury, and you're down to only 1. Or suspension. Now that JuJu is suspended, you're down to just Brown. Not good. Bryant is averaging something like 3 catches and 33 yards a game. Eli Rogers has done basically nothing. Bottom line: the Steelers are overly reliant on just Brown and JuJu. So that's why WR is a need. Still. Plus Jerry Rice was 6'2" when CBs were 5'10". Brown is 5'10" when CBs are 6'2". That makes a difference.